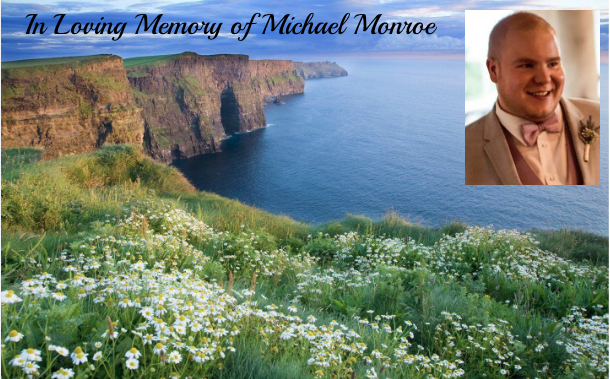 Michael William Monroe, 31, was killed in a car accident on September 25, 2018 while on his honeymoon in Ireland and Northern Ireland. Michael made the world a better place with his kindness and sense of humor and will be missed dearly by those who knew him. Michael leaves behind his beloved wife, Caroline of Orange, parents Charles and Laura Monroe of Akron, OH, sister Caroline Monroe (Nhut Diep) of San Francisco, and his extended Braaksma-McKenna family around the country. Michael was born and raised in Akron. After graduating from Copley High School in 2005, he earned his undergraduate degree at the University of Wisconsin-Madison. He trained as a teacher outside Madison and later worked with at-risk students in East Haddam and Hartford, and with autistic adults and youth at Vista Life Innovations in southern Connecticut. Michael was a kind and loving man, with a witty sense of humor who always had a friendly smile or joke for everyone. In high school, he was very active at Bath United Church of Christ in the youth group and in their Brass Choir. At Copley High School, Michael was on the swim team and played doubles tennis with his lifetime best friend, Nick Hatch. Michael joyfully played trumpet in his high school band and with the University of Wisconsin Marching Band. Michael was deeply compassionate and with a passion to help those who struggled, which led to his career choices. 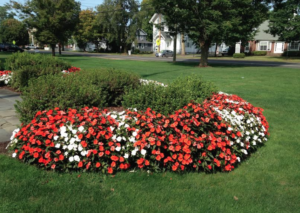 While in Madison, he volunteered for a community center in Madison and worked at the YMCA as a summer camp counselor and coach. His passions later took him to Connecticut to teach young adults with autism, which is where he met Caroline, the love of his life. He enjoyed all sports (especially Wisconsin Badger football) and could be found at blockbuster on opening day for every superhero movie. Michael doted on his adopted terrier Monty and lovingly welcomed an Australian Shepherd named Milo when he met Caroline. After marrying during the summer of 2017 along the shore of Lake Michigan, Michael and Caroline saved for a year for their dream trip to Ireland and loved their time there among its beautiful people and landscapes. The accident occurred in Northern Ireland, and the people there, especially the bereavement group Life After, did everything they could to help Caroline, her mother Aileen McKenna, and brother, Will Braaksma, cope with the tragedy. For all the support provided by the people of Northern Ireland, our families are very grateful. Michael’s life was enriched and touched by so many amazing people in Ohio, Wisconsin, and Connecticut. We can’t thank them all, but they are in our hearts. A celebration of life service will be planned for a later date. Those wishing to contribute in his memory are encouraged to make a donation to the Life After Organization of Northern Ireland or choose a favorite charity serving an important need in your local community.